AbleInsight has been appointed by the National Disability Insurance Agency (NDIA) to independently manage the National Disability Service Providers Benchmarking Survey (the ‘Survey’). The Survey is supported by the NDIA, National Disability Services (NDS) and Mental Health Australia (MHA). Representatives of all three organisations are members of an Expert Advisory Group that has been formed to oversee the operation of the Survey. For more details, see the Joint Statement of the NDIA, NDS, and MHA. As the appointed Independent Survey Manager, AbleInsight has established a benchmarking function that will expand the availability of valuable information to the disability sector, and in particular to Service Providers. Creation of a benchmarking database, on the services provided and costs incurred by Providers, will support the strengthening of the disability services sector, enabling Providers to compare their costs with those of other similar services and assist them to operate as part of a vibrant and responsive market for disability supports, shaped by choice and control by participants. Participating in the Benchmarking Survey is FREE of charge to Disability Service Providers across Australia. Data provided to AbleInsight is securely held, and not released to any other party, including the NDIA, in a way that would enable identification of the source. AbleInsight produces benchmarking reports that are made available at no cost to participating Providers. While this is the initial focus, the Survey Manager will endeavour to manage the complexities of collecting financial and other metrics for Providers delivering NDIS services in other support categories. In time, the intention is to broaden data collection in order to link financial and other inputs with participant outcomes where possible. AbleInsight aims to work collaboratively with Providers across the disability sector. See below feedback from Providers who had participated in Collections 1 and 2. "As a specialist NDIS consultant providing NDIS transition advice to disability service Providers, a number of our clients participated in the 2015/16 iteration of AbleInsight’s NDIS benchmarking. We have reviewed in detail the AbleInsight report that was produced for one of our clients; it provides incredibly valuable information relating to how each Provider stacks up, on a range of measures. Even people who don’t like numbers, graphs and statistical analysis, will love this survey. Whether organisations think they are ‘best practice’ or perhaps somewhere further down the scale, this is the survey that will chart exactly where they stack up against peer Providers, and the wider NDIS Provider marketplace. It provides valuable data to help organisations prioritise areas to address, influence stakeholders and inform decision making. 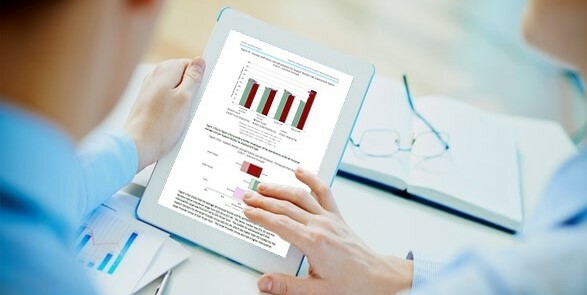 It costs nothing for providers to take part in the AbleInsight benchmarking survey but the value of the customised report for NDIS Providers is priceless. CBB will continue to encourage providers to take part in the survey – the value of the results for evidence based decision making will only continue to grow as the number of participating Providers increases and we start to build a year on year picture of the market." "ConnectAbility has been part of the NDIS since its beginnings, participating in the only NDIS trial site in NSW. In our experience, we find that market insight tools like AbleInsight’s Benchmarking function are essential for adaptability into the increasingly challenging disability market. It is of absolute importance to understand where we stand amongst other similar service providers as uptake of the NDIS has brought about significant change to all business streams for providers sector-wide. There were a lot of findings on operational and costing metrics that we could use from AbleInsight’s Benchmarking Report. We also found the simplicity and readability of reporting to be of tremendous benefit. As we move to Collection 2 for 2017 financials, building on from Collection 1 base readings, we are very interested in measuring how the continuing organisational improvements ConnectAbility has implemented align with the changed operating environment." "The Disability Services sector is going through major structural change with the national roll-out of the NDIS and the altered funding arrangements attaching thereto. Agencies like the NDIA need factual, unbiased data as aids for their decision making. Anecdotal evidence will not ‘cut the mustard’. The more providers that provide more information can only assist, provided the data is compiled in a consistent manner. The AbleInsight survey, commissioned by the NDIA, provides a snapshot of participating organisations – both in the aggregate and in the particular – and now over a series of time periods. In my conversations with AbleInsight’s staff, they have been responsive to suggested improvements, particularly around measures concerning cash flow and fractional employment. I would encourage all providers to invest their time and effort to take part in this ongoing survey, and others that come across their desk, in order to present a clear picture of the challenges facing the industry and the consequences of Agency decisions – both those that have been made and those under consideration. The longitudinal trend data now coming out of the survey is starting to bring those challenges to the surface and also show the sector’s responses to the changing operating environment within which it finds itself."